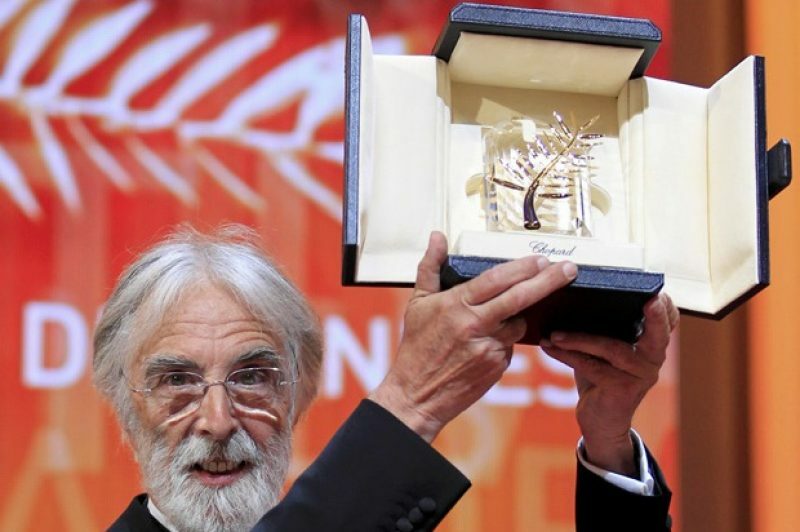 At the closing ceremony of the 65th Cannes Film Festival last night, Austrian director Michael Haneke was awarded the Palme d’Or for his film “Amour” – a love story about two octogenarians set almost exclusively in a Paris apartment. For Haneke, it is his second time receiving the accolade, having won the award three years ago for “Das Weisse Band” (the White Ribbon) – his mesmerizing morality tale set in a feudal village in Germany on the eve of the First World War. This time, however, the subject matter was a contemporary one and far closer to the heart of the veteran director, who has been responsible for some of the most innovative and enriching film-making over the last 30 years. In becoming a two-times Palme d’Or winner, Haneke joins an elite brotherhood that includes American Francis Ford Coppola, Belgium’s Dardenne brothers and Serbia’s Emir Kusturica. The top prize for best actor in a leading role went to Dane Mads Mikkelsen (best known to Irish audience as “Le Chiffre” in “Casino Royale”) for his role in “The Hunt” by his compatriot Thomas Vinterberg, while the Best Actress award went to the two main female players (Cosmina Startan and Cristina Fluturin) in “Beyond the Hills” – a Romanian film by Christian Mungiu, who also picked up a gong for the screenplay. The Best Director prize went to Carlos Reygadas (best known for his engaging and explicit “Battle in Heaven”) for “Post Tenebras Lux”. Ken Loach, who was a winner here in 2006 for his Irish film “The Wind That Shakes the Barley”, was awarded the Prix du Jury for his film about unemployed Glaswegians entitled “The Angels’ Share”. Cool! He’s one my all-time favourite director. Have you seen Benny’s Video? Yes. on Film 4 a few weeks back. Powerful but not comfortable viewing! The White Ribbon was amazing.